Successfully Added 150W Electric Coffee Bean Grinder - Different Coarsness Settings, 1 Litre Bean Capacity to your Shopping Cart. There is no better way to meet the morning than with a cup freshly ground and brewed coffee, this Electric Coffee Bean Grinder will save you all the elbow grease and grind your beans to a fine, medium or coarse consistency at the flick of a switch. For many people a cup of coffee is the perfect start to a perfect day. It vitalizes you for the day ahead so you can tackle every obstacle with you full attention. Having a coffee grinder on hand makes that morning ritual a lot easier. Using a 150W power supply this coffee grinder has capacity for 1 liter of beans and the smooth motor is exceptionally quiet so if you're the first person up you can use this grinder without waking up the whole house. No more painstaking hand grinding or using inferior ground coffee, simply select your bean of choice, add it to the bean hopper set the dial to your desired consistence, there are several settings to select from starting at very fine all the way up to a fairly coarse setting. After just flip a switch and the hard work is done for you. The finest setting will grind your coffee beans to a fine powder with a similar constancy of icing sugar; this is perfect for an espresso machine allowing you to get the full flavor and richness from the ground coffee when the water is in contact with it for just a short time. The medium settings offer a coarser result that's suitable for auto drip machines or pour over systems and as its coarser than the fine setting you won’t get a lot of sediment in the bottom of your coffee pot or mug. Finally the coarser settings produces a great consistency for cafetieres and other brewing devices, these will allow the water to mix with the coffee for a longer time without resulting in a bitter after taste. So with all your coffee habits catered for all you need to do is chose the bean. 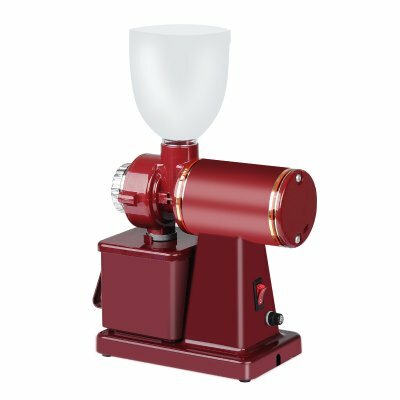 Suitable for home or commercial use this coffee grinder will bring speed and effeiicey to every cup of coffee. This Electric coffee grinder comes with 12 months warranty. Brought to you by the leader in electronic devices as well as wholesale electric coffee grinders, Chinavasion.